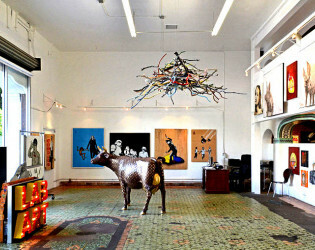 Ogle art and fall udder-ly in love with the Cheshire Cow while throwing a gala in this gallery. 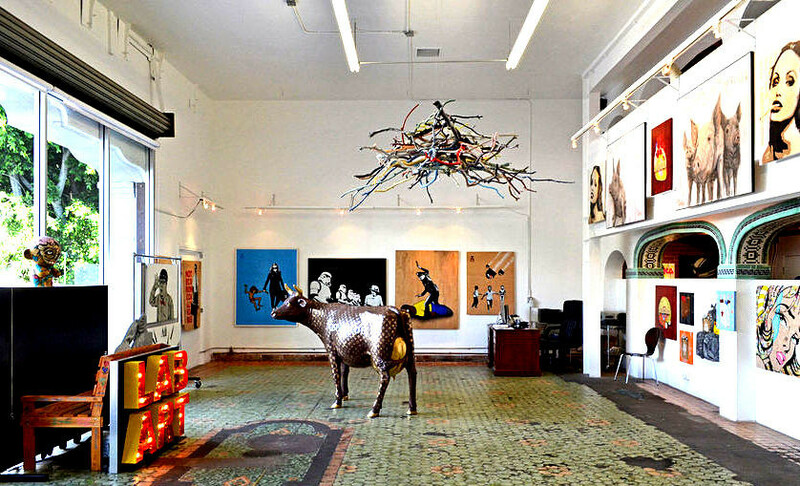 They say you shouldn't bring sand to the beach, and you definitely shouldn't bring much decor to this gorgeous gallery. Mingle and jingle amongst the largest STREET ART collection in the world! 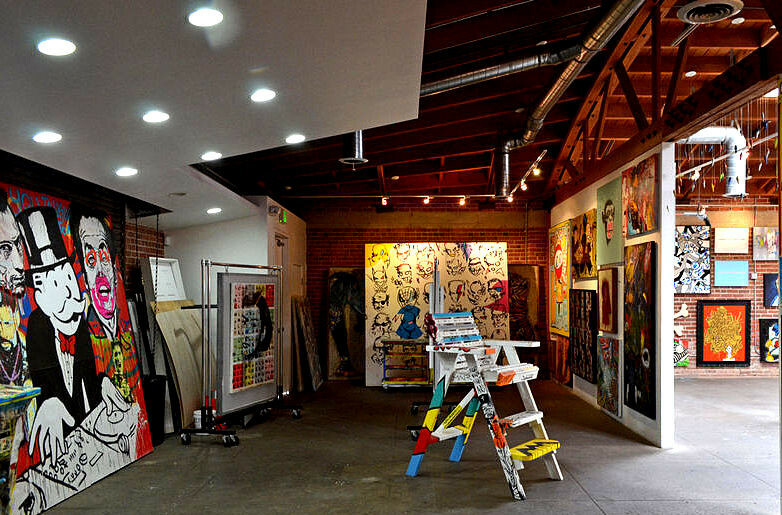 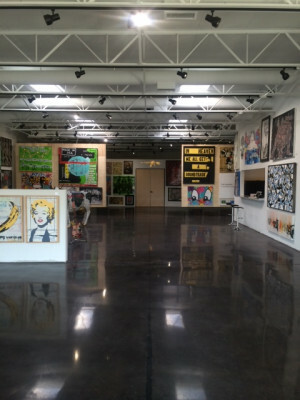 Spanning 6,500 sq ft of space, the gallery is located at 217 S. La Brea Avenue, Los Angeles CA, and includes work by world renowned street artists. 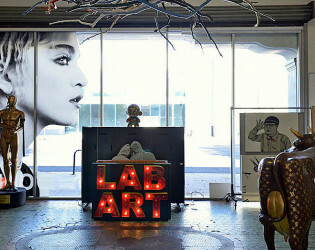 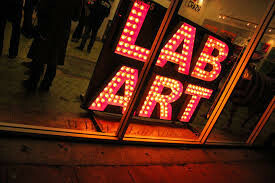 LAB ART, the hottest street art gallery known for its celebrity clientele, high-end contemporary artists and star-studded events. 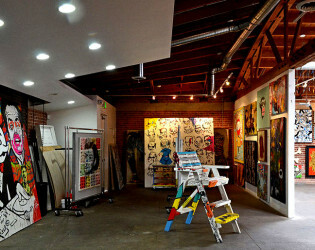 We have locations in Los Angeles and Dallas. 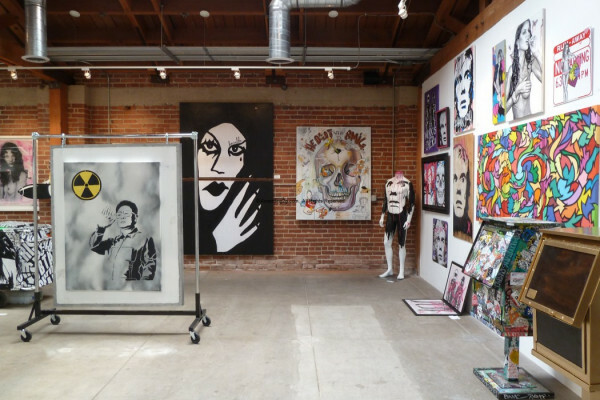 Spanning 6,500 sq ft of space, the gallery is located at 217 S. La Brea Avenue, Los Angeles CA, and includes work by world renowned street artists. 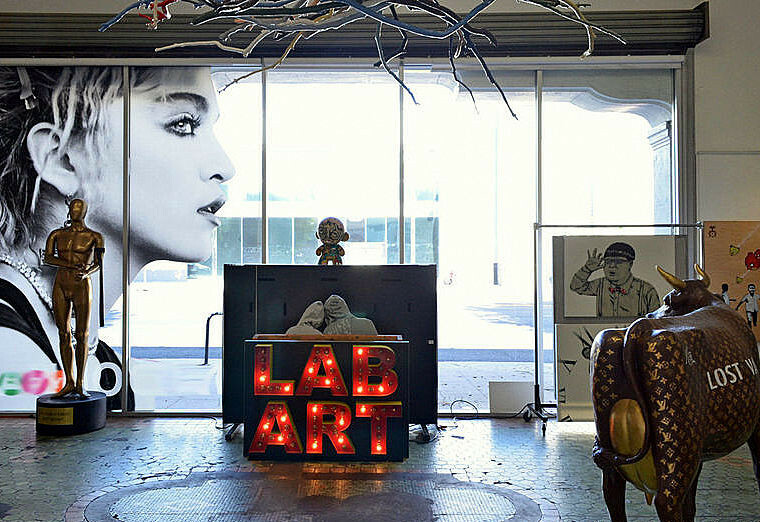 Curated under the watchful eye of former fashion designer Iskander Lemseffer, LAB ART's collection showcases a movement that will deservedly make its mark in contemporary art history. 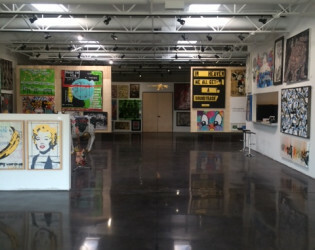 The grand opening debuts a massive exhibition by some of the most notorious artists including celebrity favorites: Alec Monopoly, famous for his paradoxical spins of the Monopoly man, and Thank You X, known for his images of art icon Andy Warhol, and Sean D'Anconia, whose virtual universe called "Majestyland" is the setting for faux-films and adverts, created in his signature Pop-Fusion aesthetic. Other highlights include the gallery bar-top painted by urban muralist Gregory Siff—known for his 6th Street Mural at The Standard Downtown, and a life-size cow statue titled "Cheshire Cow" created by artist Rabi and inspired by the Cheshire Cat. 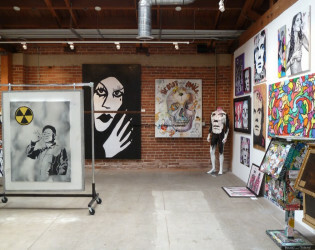 Among the artists showcased are Alec Monopoly, Thank You X, Gregory Siff and many more.